Ireland is among 27 countries represented at the MeetMarket, including Australia, China, France, India, Sierra Leone, the UK and the US. The 15th edition of the Sheffield Doc/Fest MeetMarket initiative will see four Irish projects pitch for funding from a total of 62 projects. All proposed projects will pitch to international and UK decision makers for research, development and production funding. Executives from Netflix, BBC, Channel 4 and ESPN will be present as over 300 delegates from 30 countries will be in attendance. ‘Nothing Compares’ is a feature documentary from Ard Mhacha Productions, which will focus on the rise to fame of Irish singer Sinead O’Connor, focusing on a five-year period between 1987 and 1992. Kathryn Ferguson is directing the feature and is also co-writing with Michael Mallie. Mallie and Eleanor Emptage are producers on the project. Cowtown Pictures’ ‘Screamers’ is directed by ‘Jihad Jane’ director Ciaran Cassidy. Producers on the project are John Wallace, Alan Maher, Colum Mckeown. Another Irish project ‘To The Moon’ from director Tadhg O’Sullivan, will also pitch at the initiative. From production company Inland Films, the title is produced by Clare Stronge, with Celine Haddad and Fionnuala Sweeney executive producing. Wildfire Films (‘Anthony Foley: Munsterman’) will also present a project titled ‘Children of the Church’ at MeetMarket. Irish director Kim Bartley (‘Schizophrenia: The Voices In My Head’) helms the title, with Martha O’Neill and Adrian McCarthy as producers. Additionally, Trish Dolman will co-produce the proposed title. Sheffield Doc/Fest also announced a selection of industry speakers, panel sessions and filmmaker masterclasses. Film journalist and BFI senior creator Danny Leigh will chair an industry panel featuring Fiona Campbell, controller of BBC Three, Mia Bays, director-at-large at Birds Eye View, and filmmaker Carol Morley. In addition to the panel discussion, investigative journalist and presenter Stacey Dooley will give the BBC interview at Sheffield’s Crucible Theatre. These events come in addition to the announcement of a conversation with Leigh and Paul Greengrass. 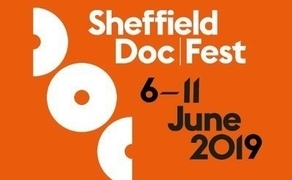 The Sheffield Doc/Fest MeetMarket will take place on the 11th and 12th of June, whilst the festival will run from June 6th-11th.